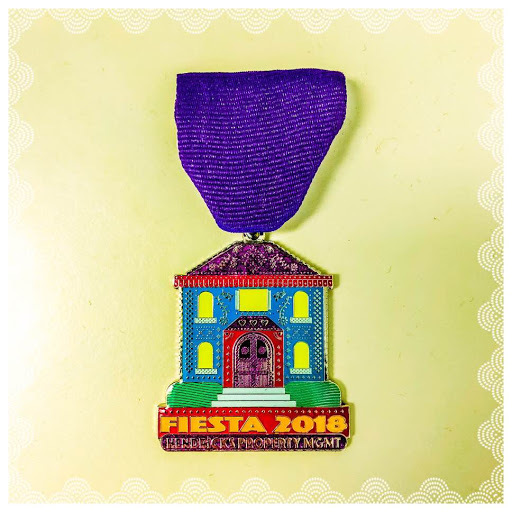 With Fiesta quickly approaching, we wanted to present to you our first ever Fiesta medal!!! We will have them at the office for pick up. While supplies last, when you drop off your April rent check and add $5 you will receive a medal and your $5 will be donated to either Christian Assistance Ministries or Saving Grace Dog Rescue. When all of the medals are distributed, the donations will be split equally between the organizations. Both of these charities are doing amazing work in San Antonio and are near and dear to our hearts. The Hendricks' crew most favorite event to attend together is the Battle of the Flowers® Parade. This year the parade is on April 27th, so we will be running with minimal staff in the office that day. It is sure to be over the top since it is our tricentennial year. We hope to see you there with your Hendricks Property Management Medal! Be sure to tag us on Facebook wearing your Hendricks gear @HendricksPropertyManagment and share your Fiesta experience with us!